Detailed product content is the #1 driver of online purchasing decisions. Salsify and Essendant have partnered together to provide Essendant suppliers a faster, easier alternative to getting refreshed product content to market. Visualize a much more efficient way to get content refreshes to Essendant in this two-minute video. Learn more about effortlessly publishing content refreshes to Essendant using Salsify. The current "manual" process of sending Essendant content doesn't get your hard work to market fast enough. 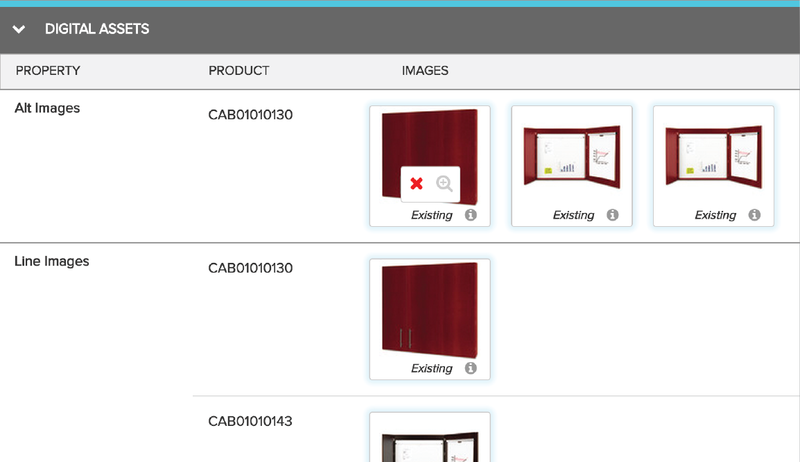 This Essendant/Salsify solution puts you in charge of how your products are merchandised and when content is refreshed. Track the status of every submitted item instantly through Salsify. When you submit content, you will hear back directly from Essendant's content team with suggestions or approvals. Streamlining this process will allow you to divert time and resources to provide more valuable content to stand out from your competitors: parametric filtering, more images, sell copy, etc. 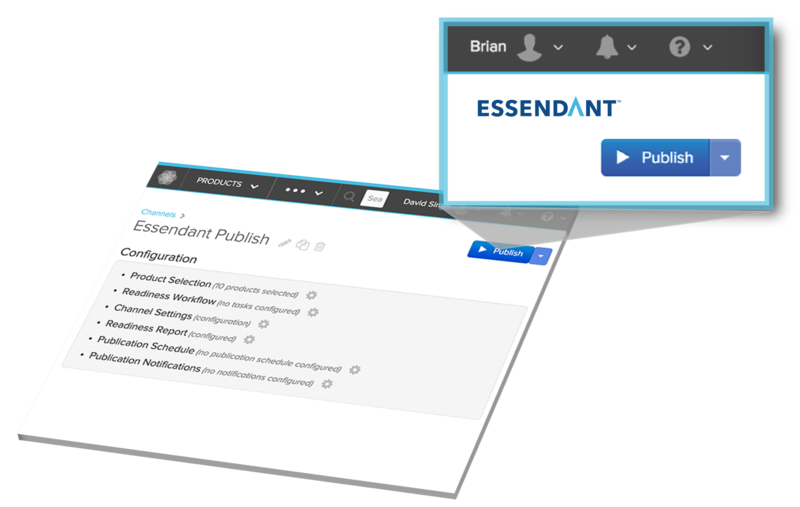 Why should I use Salsify to refresh my product content with Essendant? Detailed product content is the #1 driver of online purchase decisions, according to comScore. That means we must accelerate how we get your refreshed, rich product content to market. But refreshing content for us is a tedious, manual process, and we’ve prioritized finding a way to do more refreshes with our suppliers and turn feedback around faster. We have selected Salsify, to help us with this challenge - suppliers using Salsify will have a fast-track into our refresh processes and will get much better feedback than previously possible. Can I monitor the status of my content once I have published it to Salsify? Yes. Salsify’s solution includes an onboarding module where we can collaborate on your content and update your submissions, and you can track your progress to market. If I don’t wish to or am not able to participate in this program, can I still do product content refreshes the old fashioned way? Yes, for the time being. However, we won’t be able to commit to the same level of detailed feedback or turnaround times that we can when our content teams use Salsify. Salsify is the leading content management and syndication platform. We use them at Essendant to transform and deliver content to our retail partners, and are now using it to review, provide feedback on, and accept content submitted by our suppliers also using Salsify. Brands typically use Salsify as a content management tool to centralize their product content and digital assets, weave content together from their internal systems, and syndicate out to their retail channels (including Essendant). It is a cloud-based solution and is used by a broad range of customers - ranging from large suppliers like Reckitt Benckiser, to smaller suppliers like Bisilque. We’ve negotiated for you to use Salsify to exchange product content with us at no charge to you. We’re confident that Salsify will save you time and effort, and get your content to market faster. The Customer Success team at Salsify will help you get in, load up your latest content specifically for Essendant, and get started. You must sign up for this offer by December 15th. If you'd like to manage and syndicate product content for channels other than Essendant, Salsify can provide custom pricing to meet your needs. Does Salsify work with other retailers? Yes. Hundreds of brands are using Salsify to communicate information to hundreds of retail & distribution partners and marketplaces - including Walmart, Home Depot, Amazon, Target, Staples, Essendant and Wayfair, as well as GDSN data pools including 1WorldSync.